Thanks to Simon for tickling my memory on this great blog post from Freebase on their custom tuple server. Graphd is another good example of the log-oriented append only pattern. This is the sort of stuff I’ve been thinking about for a bit, and wishing I had more time to play with. Disks and disk metaphors might turn out to be our most dramatically parallelizable constructs. Still my favorite hack is that, because they’re building a wiki-like tool, Freebase can bubble their eventual consistency implementation all the way up to the end-users, who are mentally prepared to deal with write contentions (they’re already dealing with rightness contention after all). 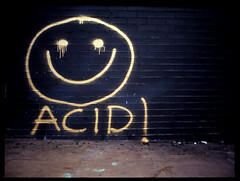 We’re living in a post-ACID world. The only down side is everyone I’ve talked to at Freebase seems pretty solid on this being their proprietary secret sauce, because a good, fast scalable open source tuple store might actually jump start a real semantic (small-S) web after all these years. Oh, and only tangentially related, Myles published a good high level on our job queue system last Friday. ⇒ Better Javadoc results using “SearchMonkey”. The docs on I found on Yahoo’s SearchMonkey were all arcane XSLT, and strange feed formats ne’er before seen on the Web. But this example from Sam shows how easy it can be – a couple of regexes, and a couple of lines of PHP. 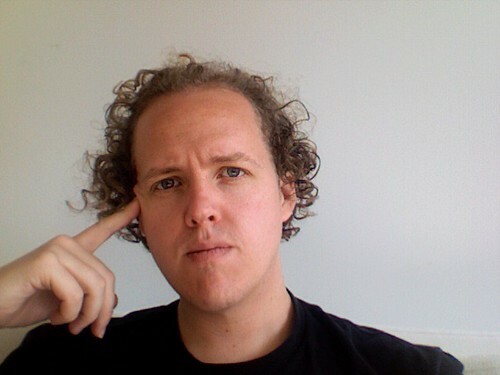 ⇒ Dare: Microformats are not an API. I’m on record as a microformat fan — they’re an awesome low impact largely social hack — appropriate technology for a world without APIs. That said I’ve been hesitant to add them to Flickr for the reason that APIs are better: better for us, better for you and I would hate to confuse people about this. That said Operator is the compelling counter argument, and why I’ve been sprinkling microformats and RDFa around the site lately. “Machine tags are form of tag, introduced in January 2007 by Flickr. They comprise three parts, a namespace, a predicate and a value.” Goodness. ⇒ mnot: Bringing Back the Link – With a Twist. I’ve read through this twice, still sorting out the implications, but it sure sounds exciting. Calendars are not interesting because they show us a grid of dates with things happening. Calendars are interesting because more then our inbox, more then our todo lists, more then ourcontacts, more then our phones, they know things about us. They fundamentally intersect the social and the geophysical. If I’m attending an event (say in Austin) you have a powerful hint about when and where I am to a degree inaccessible to other facets of my digital support system. All of which is an overblown way of saying 30Boxes are smart, and seem to be the only people doing calendaring that seem to get calendars, or the next rev. of the social web for that matter. So the Yahoo acquisition of del.icio.us hit every tech blog on the planet this weekend, and hardly needs more rehashing. But a couple of ideas I haven’t seen elsewhere from one of my mailing lists. [Yahoo] recently hired all the IBM people that worked at the WebFountain project. And that the del.icio.us database of tagged website would be an awfully juicy source of data to start analyzing. Yahoo is the obvious player to build post-search interfaces, browsable and discoverable like Yahoo of old, but this time built to Web-scale. Meanwhile is anyone watching the Flock’s future? What with its APIs to Yahoo’s Flickr, Yahoo’s del.icio.us, and integrated editor for all those new MT blogs. Just a thought. ⇒ hackdiary: Using Wikipedia and the Yahoo API to give structure to flat lists. I think we’re starting to reach a tipping point of sufficient semi-structured data on the web. ⇒ “PLAN: A two day event bringing together leading international figures to review the emerging fields of locative and pervasive media.”. Kicks off tomorrow, don’t think I’ll make it. ⇒ pOWL – a PHP “Semantic Web Development Plattform”.